To give thanks. To show gratitude for things you have, both in possession, relationships and undefinable areas. We are also a nation that now, while still digesting a meal meant to be the celebration of being thankful, can trample and physically fight with absolute strangers to purchase things we don’t have. While some make this a family affair, sometimes just to people watch, it is a sad and ironic situation nonetheless. It is also a common theme, that the vast majority of us is thinking more about helping others and doing charitable work now. Honestly, I would think something was wrong with your soul if it wasn’t the case. I myself and thinking about it much more than I was 3 months ago during the heat of summer with 38 activities going on every weekend. So this is written looking at the plank in my own eye. We always have a choice and we make them because we want to. Even with a gun to your head you have a choice; you don’t want the alternative so you do what you are asked. That being said, without being one bit cynical, we do good deeds for a reason. It is not wrong to say, “I feed the homeless, build houses and donate money because it makes me feel good.” Call it duty, purpose, morality, but helping fellow man sits well with the soul. Regardless of your spiritual or religious beliefs, we do these acts on purpose. The part about this that gets me frustrated is that with all of the social sharing possibilities, one of the reasons some people do acts is so that they are seen doing them and then the bigger feelings is the attention they get from being noble enough to do the act rather than the act itself. I cannot lie, that as a business owner and promoter, I do many things for the sake of marketing and promotion to bring awareness to a cause or an event. Sometimes, due to schedule I do just make appearances so I can make such posts because, one way I can help, with a decently large and interactive facebook account is bring awareness. My friends know this to be the case and know my heart. However, I know I am guilty of posting simply because I want to been seen at a certain place, doing a certain event or with certain people. But I am urging myself and any readers that feel lead, to put thankfulness in action. Let’s call it the Thankforward Club. The rules are not all that different from Fight Club, ya know that amazing schizophrenic flick starring Brad Pitt and Edward Norton Jr.? Well, ok the rules are very different. Rule 2: Don’t post about what you will be doing or what you have done. This goes for the random good deeds like giving a big tip to single mother that is serving your dinner to paying for the coffee for the car behind you in line, not just food kitchens or other organized events/venues. Rule 3: Don’t check-in via any medium to let people know where you are (unless significant other or parents need to know). If someone else checks you in or tags you in a post or picture, untag yourself or hide it from your timeline. Rule 4: Smile. My life coach often looks at me and asks, “Are you happy?”, the answer is always “Yes (be it is a choice not based on circumstances)”, “Well then notify your face!” I get lost in my own head quite frequently and sometimes this thought comes to mind and I start cheesing big time...it is quite funny when someone is watching me and sees this take place. Rule 5: Do something nice for someone that can’t repay you, even if it is because of time restraints or that fact that you are acting anonymously, daily. It takes 21 days to form a habit. Once it is a habit you will be compelled to Thankfoward, but if you are the competitive type, don’t lose sight of the reason. Skip a day if you are doing it out of guilt or obligation. So will you join the club? It is completely voluntary and there is no roll call. There will be no logo, no stickers, no t-shirts, no handshakes, just good deeds. The dues aren’t costly. 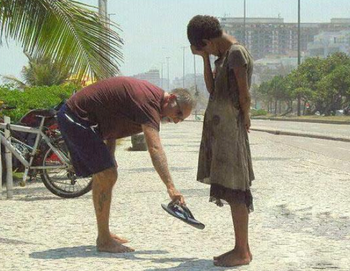 Just simple acts of kindness. 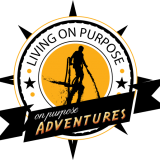 Purpose is our middle name here and to “Live on Purpose” means to be intentional, deliberate in one’s actions. Think about others. How can I be a giver on more occasions that I am a taker? And they won't be random acts of kindness. They will be acts of kindness on purpose. Can you do it for not public reward? No social gratification? On;y time will tell. Here are some links to start with if you are looking for places to start. But if your schedule doesn’t allow for volunteering, that doesn’t have to stop you for being a part of this club. There are many many local organizations that greatly need your help.